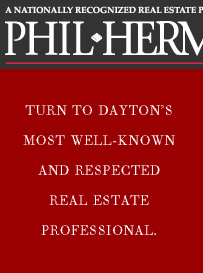 For over 20 years, Phil Herman's name has become synonymous with the cutting edge and very best of Greater Miami Valley real estate. Phil has been a trendsetter and has elevated his service to the level of science. Quite simply, no other broker in the Greater Miami Valley can offer the level of service systems, the marketing reach, the network of prospective buyers, the level of staffing and administrative support, the follow-up and attention to your transaction that Phil Herman provides. For all your commercial real estate needs, whether, retail, leasing, apartment buildings, office buildings or any of your investment property needs, turn to the Greater Miami Valley's most well-known and respected real estate professional. Turn to Phil Herman.